APLI Signs - Nr. 12377 Sign labels/EMERGENCY EXIT LEFT, afmeting 115x230mm. Special adhesive label for signposting escape routes and emergency exits. APLI Signs - Nr. 12377 Sign labels/EMERGENCY EXIT LEFT, afmeting 115x230mm. 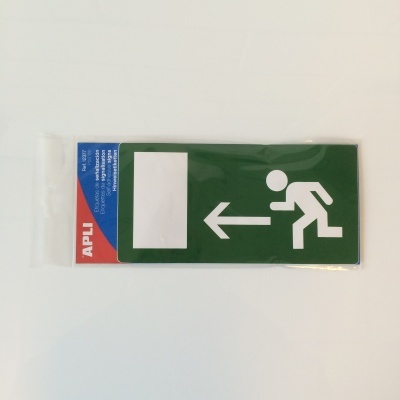 Special adhesive label for signposting escape routes and emergency exits.